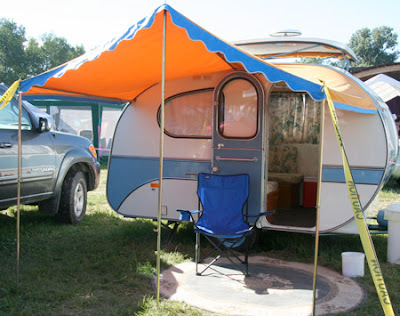 Our friend Mark and his wife Heidi always add a little extra to their Grassroots experience. This year is no exception. 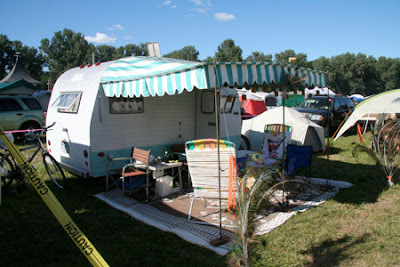 They gather with their friends with pristine vintage campers and spend the festival eating, drinking and partaking of the music and scene. 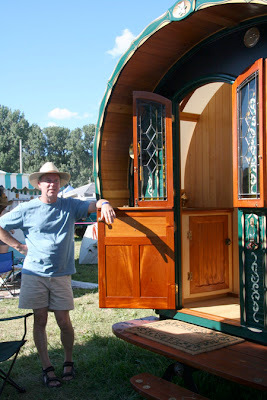 This year, Mark brought his brand new, handmade Vardo, a wooden gypsy wagon complete with cut glass, tiny wood stove, and beautiful woodwork...with a bright white canvas cover giving the interior warm diffused light. What a treat. He also offered up a selection of spanish tapas (from Tienda)and interesting conversation to enliven the early evening. What a rich slice--friends, music and crispy almonds and manchengo, chorizo and almond crisps sparkling with anise. What a gift he has given us.